JCRG6CST, STC-Shaped Guitar from Ibanez in the J-Custom series. J-Customs are usually known for their flame maple tops. However, Ibanez decided to do something a bit different while building this guitar. Instead of the normal maple top, they now use a swamp ash top, and the grain really pops. The guitar has a mahogany body with an ash top, a maple neck with an ebony fretboard, no inlays, 24 jumbo frets, a Double Edge piezo trem, two humbuckers, two volumes, one tone, one push button for the piezo, a switch for the magnetic/piezo selection and a five way switch. Ibanez's J-Customs are consistently some of the best guitars to come out of Japan. First of all, their fretwork is really unmatched. Not only are the frets perfectly level and smooth, but the ends are balled. It makes it a lot easier on the hand while moving up and down, and I'm not sure why more companies don't try to employ this technique. The tremolo on this is the best that Ibanez has ever made as it has a built in piezo. That means you can get that acoustic-esque sound out of this with the flip of a switch. The neck joint on this is also awesome. It's the Ibanez All Access Neck Joint, and it makes soloing so much easier as there's not a huge mass of wood there. The guitar is equipped with a DiMarzio Tone Zone in the bridge and a DiMarzio Air Norton in the neck. The Tone Zone is generally known for being pretty thick, and it is. It also has lots of mids. However, with the ebony fretboard and swamp ash top, it helps even the pickup out a bit to really make it roar. It's not the most dynamic pickup in the world, but for those looking for an awesome shred pickup, it really delivers. The Air Norton is just heaven in the neck spot. It's warm, fat and smooth. You can get some of the sickest sounding lead tones out of this, as well as clean tones thanks to the 5 way switch on this. If you can find one of these at a good price, I recommend jumping on it ASAP. It's an awesome guitar that just delivers tone for days. The J-Customs are some of my favorite guitars ever made, and every one continues to deliver in terms of tone and construction. 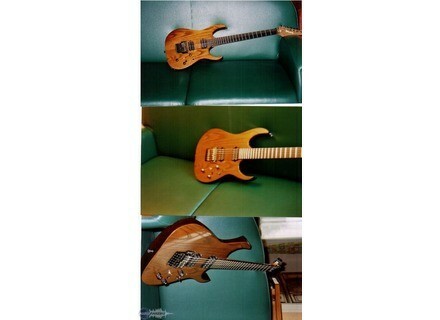 Guitar made in Japan in 1999 to 24 units listed on the site Jcustom. The guitar is very balanced as sitting and standing. The bridge is a Low Edge Pro II tremolo of the rolls, mounted on ball bearing very stable easy to use. Disont it is slightly flattened rather late, that his section varies slightly depending on the level on the handle bars or easy to play solo. The radius is slightly marked. The frets are super jumbo. My favorite sound is that of the "Van Halen" 5150 with the flanger and delay depending on the position of stereo microphones and adjusting the potentiometer range goes to his van halen superjazzy (with piezo) Sounds are extremely defined . 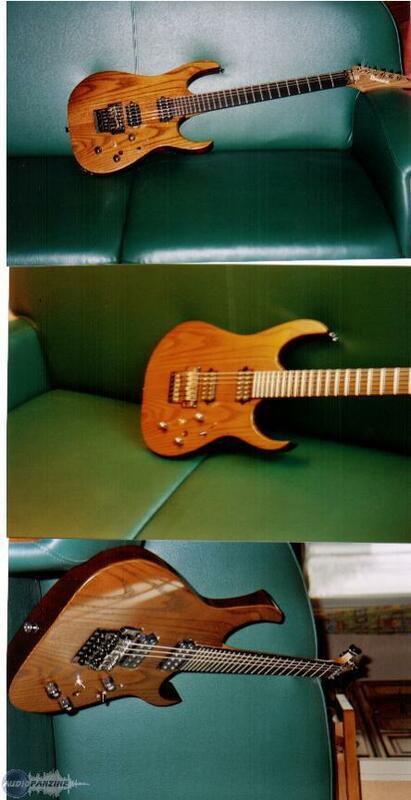 The Argus AF is around 2400 euros for the model "metal" is an expensive guitar that I had the chance to share.